NEW! Longmont Location Now Open! We are excited to announce the opening of our second location at Andersen RV Storage, located at Nelson Road and Andersen Street in Longmont. At Boulder RV, we offer a comprehensive list of RV maintenance services for all makes and models. Boulder RV has over 20,000 parts and accessories for your recreational vehicle. Need special assistance? We are here to customize and repair your RV for any occasion. Boulder RV is Boulder’s ONLY RV service and repair center. 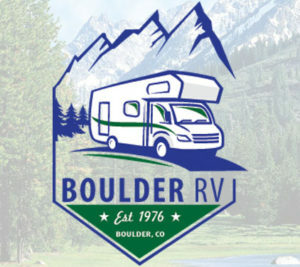 Since 1976, family-owned Boulder RV Service and Repair has provided friendly, convenient RV and camper service and repair to owners in the Boulder, Longmont, and West Denver Metro area. Our experienced team of technicians and RV specialists services all makes and models from our convenient original location at 30th and Valmont, and our new location at Nelson Road and Andersen Street in Longmont. Boulder’s Choice for Green Mountain Pellet Grills! We carry a full line and large inventory of parts and accessories for RV’s and trailers. Visit our Online Catalog for complete details and product listings. We are happy to special order your parts! Contact us for your next RV or camper repair, maintenance, or service work.